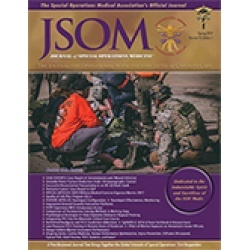 This study provides an examination of approaches to United States Government (USG) resourcing interventions on a national scale that enhance psychology support capabilities in the Special Operations Forces (SOF) community. A review of Congressional legislation and resourcing trends in the form of authorizations and appropriations since 2006 demonstrates how Congress supported enhanced psychology support capabilities throughout the Armed Forces and in SOF supporting innovative command interests that address adverse affects of operations tempo behavioral effects (OTBE). The formulation of meaningful metrics to address SOFspecific command interests led to a personnel tempo (PERSTEMPO) analysis in response to findings compiled by the Preservation of the Force and Families (POTFF) Task Force. The review of PERSTEMPO data at subordinate command and unit levels enhances the capability of SOF leaders to develop policy and guidance on training and operational planning that mitigates OTBE and maximizes resourcing authorizations. A major challenge faced by the DoD is in providing behavioral healthcare that meets public and legislative demands while proving suitable and sustainable at all levels of military operations: strategic, operational, and tactical. Current legislative authorizations offer a mechanism of command advocacy for resourced multi-functional program development that enhances psychology support capabilities while reinforcing SOF readiness and performance.